Carol Feldman is a veteran landscape architect whose practice is focused on water-conserving, sustainable landscapes. She will speak at the Gordon Community Center on Sunday, July 15, at 2 pm. After last summer’s brutal drought in Texas, we are all learning to use even less water in our landscapes. Conserving water outdoors can significantly lower our water bills and preserve this precious natural resource. It’s time to learn some water saving gardening techniques such as the use of native plants, mulching beds, smaller turf areas, rain gardens, efficient irrigation and rainwater collection to reduce our outdoor water use. This presentation will focus on using native plants in landscapes – how to design your yard using native plants. Learn more about placing plants attractively, and the forms of native plants. We can all have beautiful, blooming landscapes without watering all summer. This special presentation is brought to you by the Gordon Community Library as part of our Sunday Forum Speaker series. 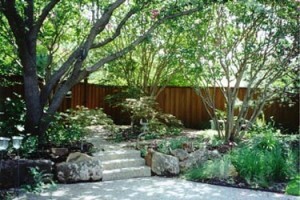 Ms Feldman is a former president of the Native Plant Society of Texas. For more information about her landscape practice visit http://www.feldmandesign.com/. Gordon Community Library & Museum, Proudly powered by WordPress.